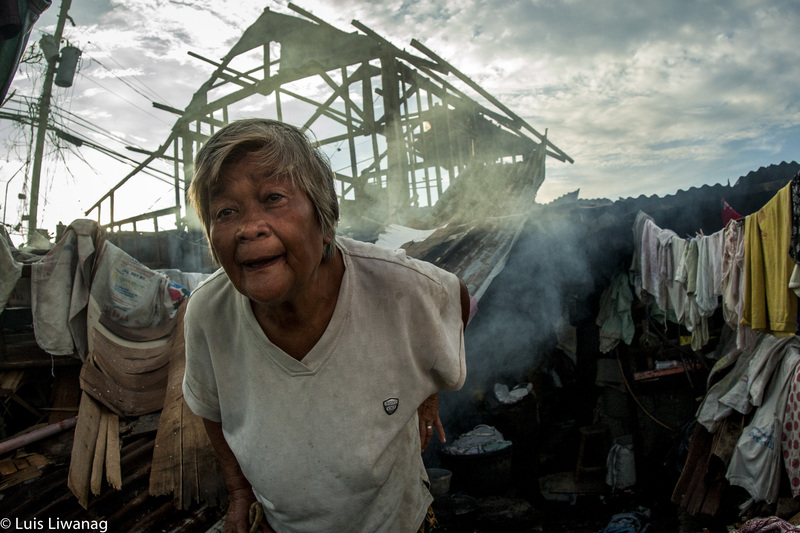 Age International estimates that around 1.3 million people over 50 have been affected by Typhoon Haiyan in the Philippines and around 85,000 older people have been displaced. As part of the Disasters Emergency Committee (DEC), we are appealing for help with a Philippines Typhoon Appeal. Age International’s response is specifically targeting the thousands of vulnerable older people affected by the disaster. 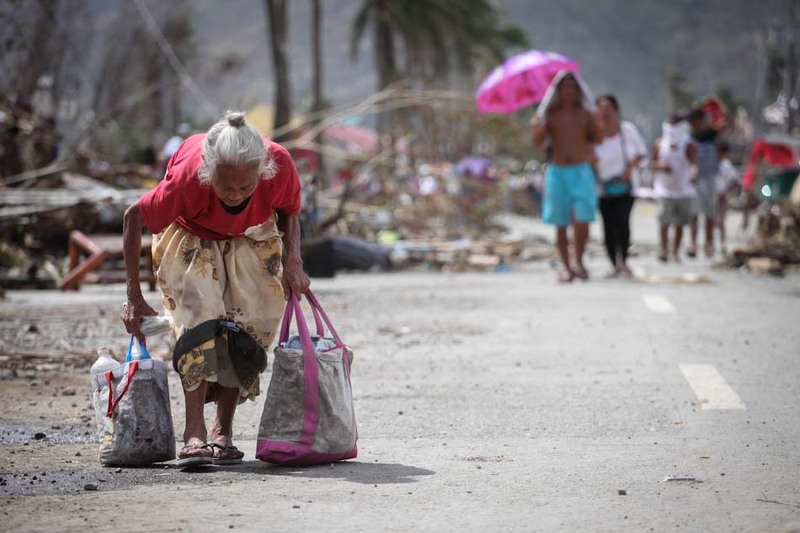 An older woman carries her possessions following the destruction of Typhoon Haiyan. The super typhoon, Typhoon Haiyan (Yolanda), hit the Philippines on Friday – causing widespread devastation. Haiyan is the largest storm to ever hit land and the Philippines is one of the world’s most densely populated countries. As a result, impact was always going to be significant. The typhoon devastated the Philippine archipelago, flattening homes and cutting off roads and power. Officials say that there may be 10,000 dead in the Leyte island capital of Tacloban alone and the overall death toll could be many thousands more. Some of the areas hit by the typhoon are also the same places that were struck by a 7.2-magnitude earthquake two weeks ago – making the damage even more severe. 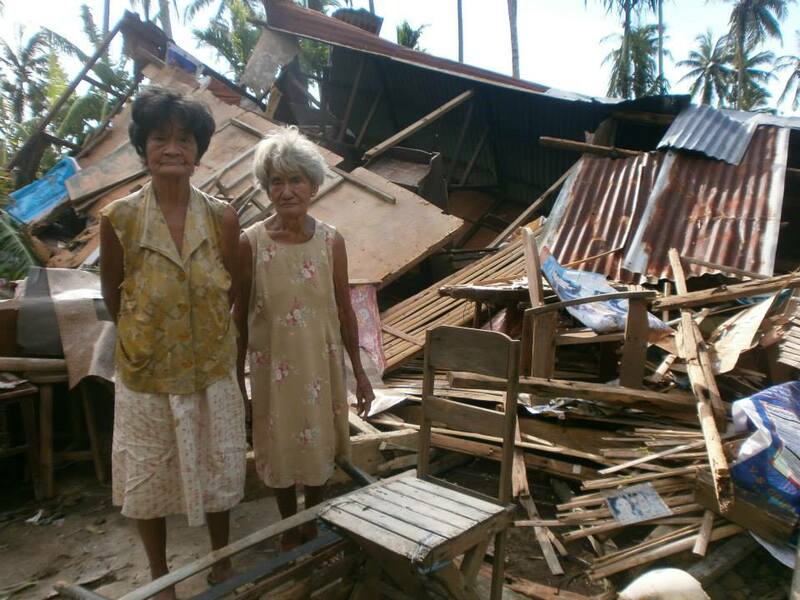 Our partners in the Philippines are reporting that older people have been particularly affected by the disaster. Older women and men are the ones least able to flee quickly; and the ones most likely to need support. They often cannot run; they cannot carry possessions – such as blankets and clothes to keep themselves warm and dry. When older people do decide to flee, they face risks including the possibility of being separated from family and friends, and ending up in evacuation centres in near-complete isolation. During Hurricane Katrina 49% of those killed were over 75 and in the Great Eastern Japanese Earthquake 64% of deaths were of people over 60. 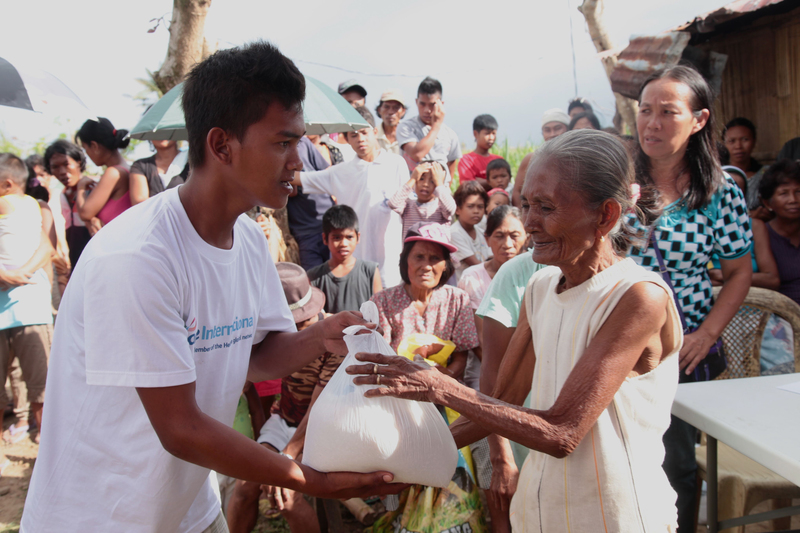 Age International delivers age friendly food packs to older people following Typhoon Haiyan. Age International are calling on the UK public to donate to support their relief effort – and help them reach more vulnerable older people before it’s too late.